Tina Böhme studied psychology and Scandinavian studies at Humboldt-Universität zu Berlin (Master of Science in Psychology 2015). At Humboldt-Universität zu Berlin and Max-Planck-Institute for Human Development she worked in different research projects in the fields of neurocognitive, clinical neuro- and developmental psychology. In her thesis she investigated the effects of a mindfulness training (Mindfulness-Based Stress Reduction, MBSR) on the creativity of students and teachers (cooperation with Albert-Ludwigs-Universität Freiburg). For many years she has been involved with various sustainability topics as well as within the educational work with children, adolescents and adults in different countries, e.g. as a volunteer with “kulturweit” (German Commission for UNESCO) at a school in the south of Chile. 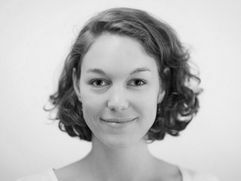 Since November 2015, Tina Böhme has been a research fellow in the project “Education for Sustainable Consumption through Mindfulness Training (BiNKA)” funded by the Federal Ministry of Education and Research (BMBF) . She is currently working on her doctoral thesis about the effects of a mindfulness-based training with consumption focus with adolescents at school. Böhme, T., Geiger, S.M., Grossman, P., Schrader, U., Stanszus, L. (2016). Arbeitsdefinition von Achtsamkeit im Projekt BiNKA. Paper on the working definition of mindfulness in the BiNKA project: http://achtsamkeit-und-konsum.de/en/publications2/ . Böhme, T., Geiger, S.M., Schrader, U. (2017). The Transformative Potential of Teaching Mindfulness to Adolescents: Environmentally Significant Outcomes of a School-Embedded Intervention Study. Poster presentation at the International Conference of Environmental Psychology, A Coruña, Spain. Böhme, T., Stanszus, L., Schrader, U., Geiger, S.M., Fischer, D. (2016). Evaluation einer konsumspezifischen Achtsamkeitsintervention mit Mixed-Methods als Antwort auf Defizite psychometrischer Skalen. Talk at the 5. conference of the German research network “Mindfulness”, Berlin, Germany. Böhme, T. (2016). Bildung für Nachhaltigen Konsum durch Achtsamkeitstraining (BiNKA): Konzeption eines konsumspezifischen Achtsamkeitstrainings für Schüler_innen. Talk at the annual meeting of the German network “Mindfulness at Schools and Universities”, Coburg, Germany.